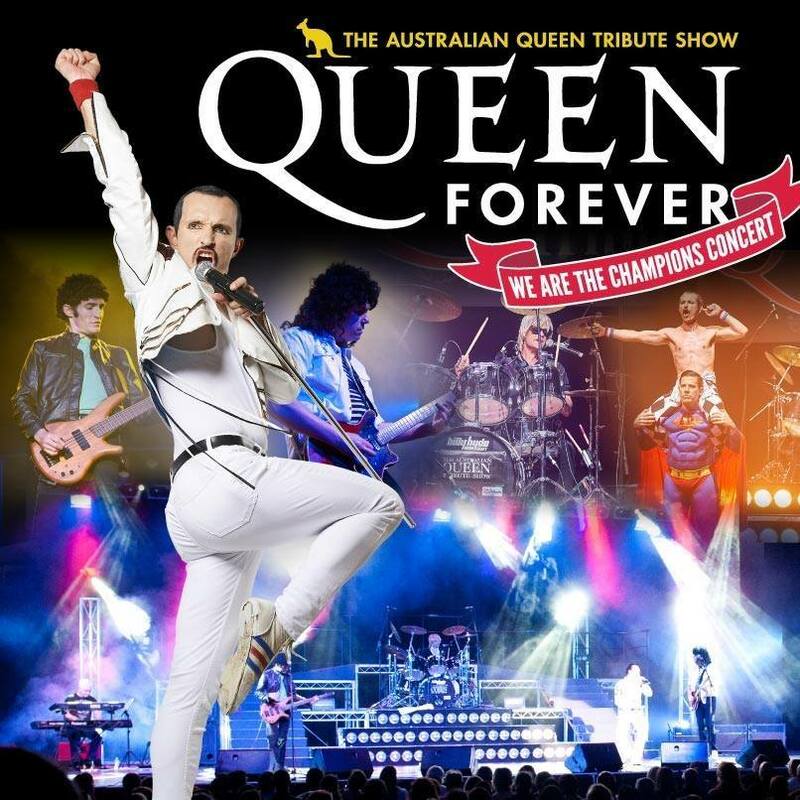 QUEEN FOREVER recreates the music and performance of Queen and Freddie Mercury in a world class show that will simply blow you away! 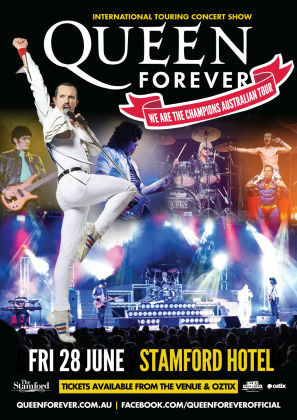 QUEEN FOREVER perform all Queen’s biggest hits including Another One Bites The Dust, Killer Queen, Crazy Little Thing Called Love, Radio Ga Ga, We Will Rock You, We Are The Champions, You’re My Best Friend, Fat Bottomed Girls, Don’t Stop Me Now, Bohemian Rhapsody and many more in a stage show that will have you feeling like you are at a 1980’s Queen concert! 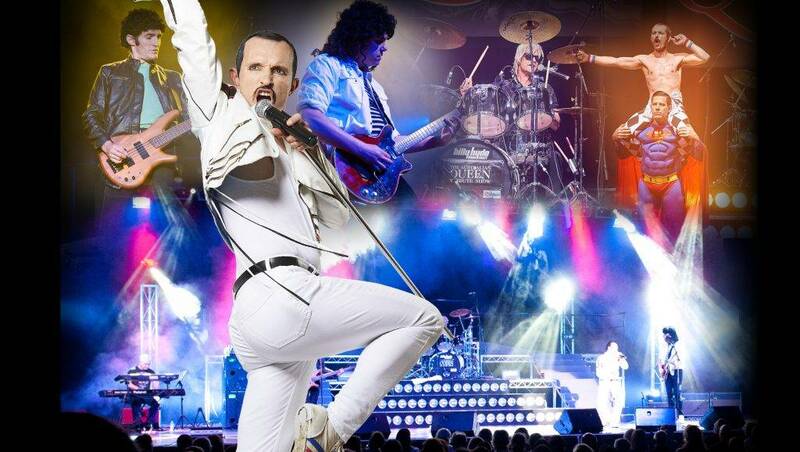 QUEEN FOREVER features a stunning portrayal of Freddie Mercury by Gareth Hill, Brian May’s amazing guitar solos played to a tee by Scotty Hotpants, with authentic costumes, perfectly blended vocal harmonies in a full on rock show not be missed. 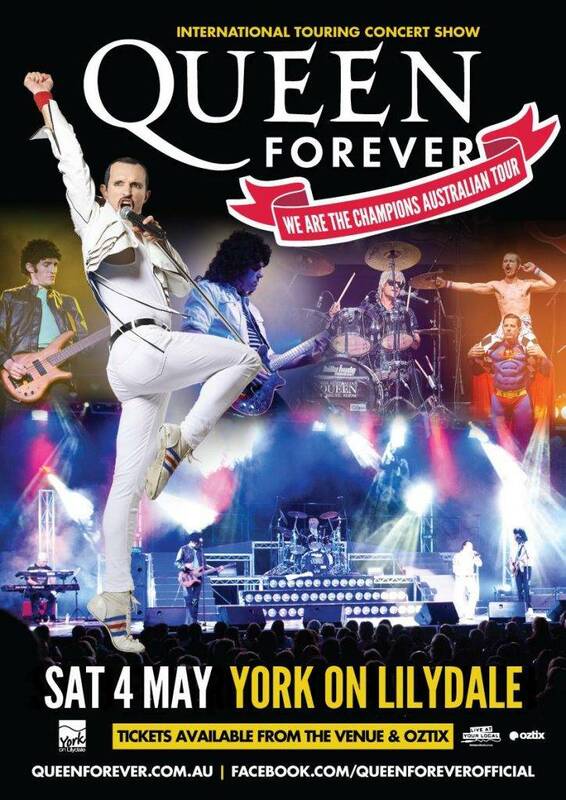 Join in the massive global Queen revival off the back of the award winning ‘Bohemian Rhapsody’ movie and come see QUEEN FOREVER. Don’t miss this amazing show – BOOK NOW!